As parents and educators, we worry about children’s grasp of languages and math. But just as important is creative expression. 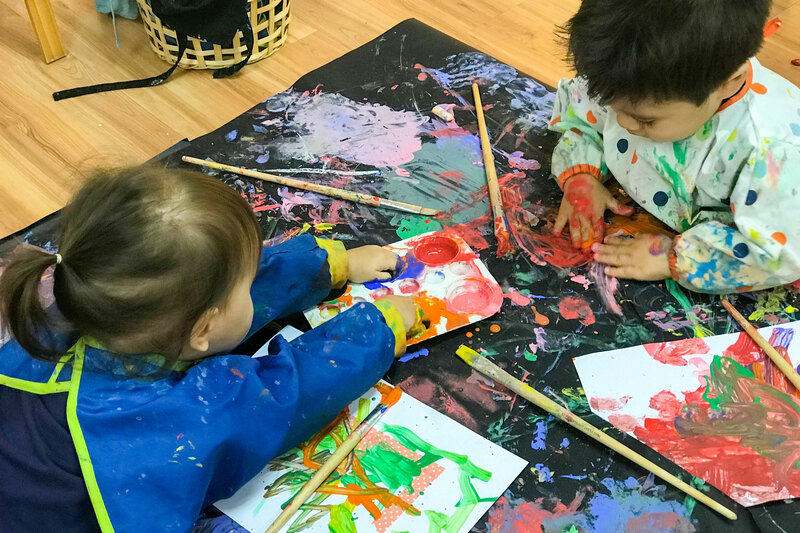 Letting children express themselves creatively gives them another ‘language’ with which they can express their thoughts, feelings and ideas. Sometimes, they may lack the vocabulary to accurately tell you what they are thinking, but those things can be communication in a drawing, tableau or song. intention. 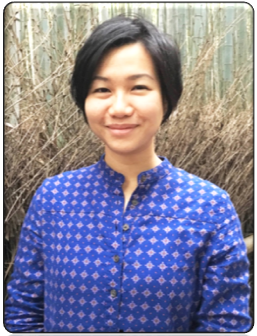 It can enrich their personal responses and expand cultural understanding, along with building a connection and appreciation of the arts. 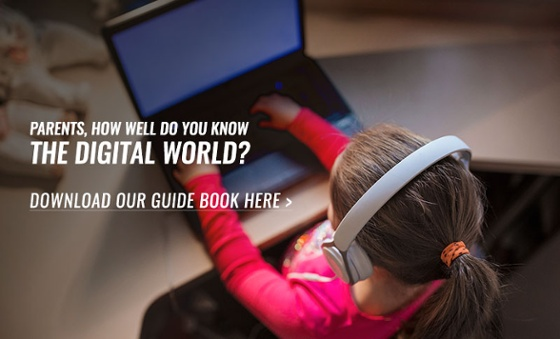 Most importantly, it helps them these crucial skills for the 21st century learner: self-esteem, communication, perception, higher-order thinking, and collaboration. And creative expression doesn’t have to be difficult or costly. 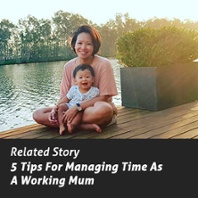 Here are 6 activities you can easily do at home! 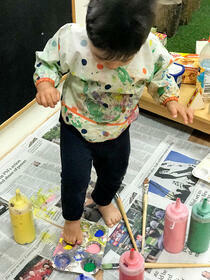 Set up a simple invitation to play using various-sized mirrors, paint, brushes and sponges. Work on language development by discussing what they see in the mirror. Focus on the sensory experience of applying paint to the cool, smooth surface of the mirrors. Have a discussion on face and body parts, paint strokes and paint colours. Set up a simple invitation to play using the mentioned materials or have children to display their nature treasures on the table. 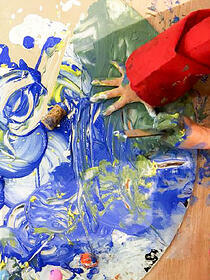 Explore patterns, textures, colours, brush strokes in this activity. 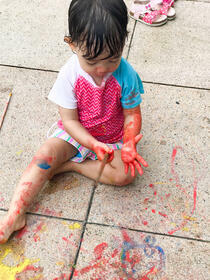 Lay papers on the floor (if doing indoors) and leave paint bottles around to invite children to explore. Pour paint into a plate for children to step in. Play music and invite children to dance to it! Set up an invitation to play using the mentioned materials. Allow children to experiment with the droppers. Discuss colour mixing, patterns and forms. You may even want to create a story about the dropper that went for a walk! Lay cardboards or tub on the floor with the mentioned materials. Allow children to explore the materials as they mix and spread the mud. Add water to the mud and discuss any changes to the texture such as its thickness. To boost their imagination, add animal toys to the mix! Set up a simple invitation to play and explore the mentioned materials. To prevent the brown clay from drying, add a little water to the clay. 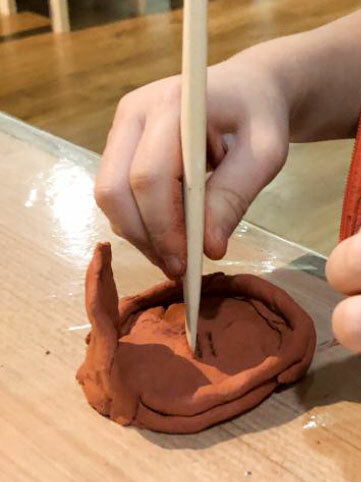 Allow children to explore, using the brown clay to create texture, shape and form. Keep clay in an airtight container and cover the clay with a damp towel or cloth to prevent it from drying. 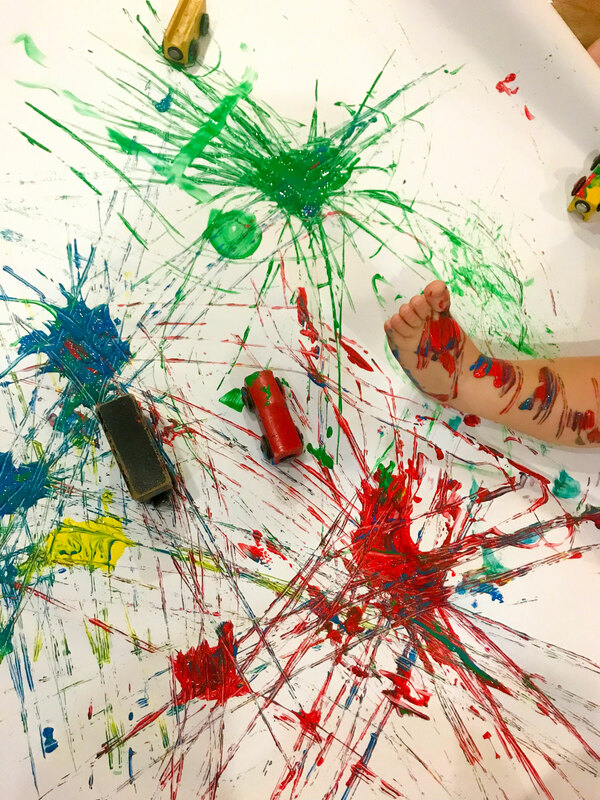 Nobody wants a home strewn with paint, so have a designated area for messy play. Store material and tools in transparent containers so you can see from a distance where your things are. For toddlers, put them in diapers and let them explore without their clothes on so it is easier to clean them up after. For older children, put on old clothes that you don't mind getting dirty. Always have a cloth and a bucket of water nearby to wipe up spills!